Mila Selak graduated from the Faculty of Law, University of Zagreb, in 2009 and passed the Bar Exam with the Ministry of Justice of the Republic of Croatia in 2012. Mila has joined Ostermann Law Office in June 2011. 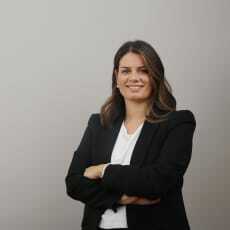 She has become a Partner in Ostermann & Partners LLP in February 2014. Mila practices in areas of commercial, corporate, M&A and acts for the clients in dispute resolution. She has advised domestic and international clients on a wide range of commercial transactions, including acquisitions, disposals, capital raisings and joint ventures, for which she drafted numerous comprehensive compliance and due diligence programmes. She also regularly advises clients in construction, consumer, retail and TMT sectors. Mila has extensive experience in providing legal advice with respect to various employment law issues, dealing with both Croatian and EU legislation. Among others, Mila drafts employment contracts, manager contracts, dismissals, working regulations etc. and represents clients in employment related dispute resolution.